Depending on your preference, we can help you with your immigration needs in different ways. Please review our different service options below and contact us to get started. To gain a better idea of your immigration options schedule a consultation with our experienced immigration advisor today. 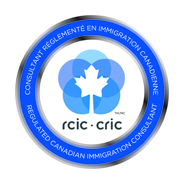 We will spend time with you to assess your unique circumstances and immigration needs to evaluate your options within the Canadian immigration framework. At the end of the consultation, we aim to identify the best immigration pathway and the necessary steps you can undertake or provide you with recommendations to increase your chances of immigration success. The fee for an in-person, skype or phone consultation is $150. This will be credited toward your account if you retain us for our Complete Care package. Our Careful Review service is designed for clients who feel confident about their already prepared application but want an experienced immigration expert to ease any worries prior to submission. We will perform a detailed review of your entire package and take into consideration recent program and legislative changes that may affect you. You will be provided with written feedback identifying areas of concern and pointers on how to strengthen your overall application. Feedback can be discussed in a follow up session if needed. The Careful Review service is provided on a flat-fee basis. It is recommended that prior to preparing your own application you book a consultation. Immigration is a stressful process, if you want peace of mind our Complete Care package is your head-ache free option. Our experienced immigration team takes the lead and manages your immigration process start to finish. We will represent your best interests and ensure the best immigration program is selected, assist you with gathering the needed information and documentation, prepare and submit your application and liaise with the immigration authorities to work towards a successful outcome. The Complete Care package is based on a flat-fee to ensure that you will not encounter any unexpected costs.